Artist collective Meow Wolf turned an abandoned bowling alley into an oversized glow-in-the-dark game. 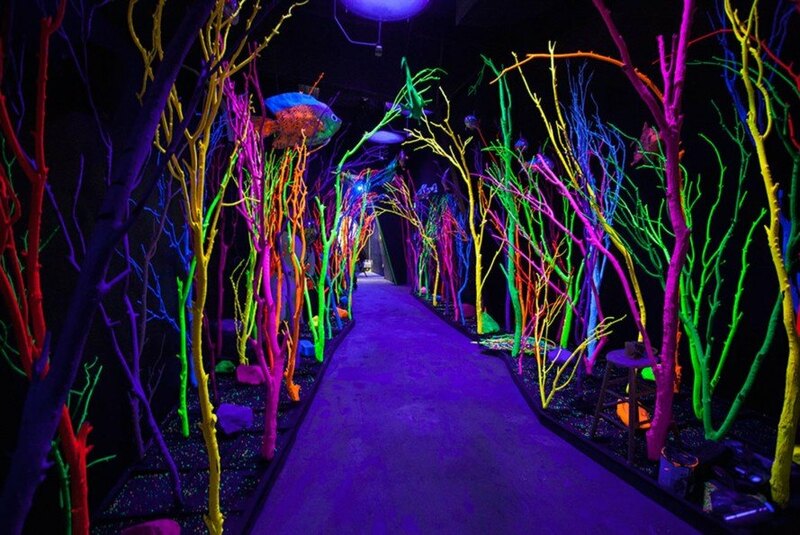 Located in Santa Fe, New Mexico and called The House of Eternal Return, the role-playing art installation is part haunted house and part choose-your-own-adventure. The project employs hundreds of artists, builders and scriptwriters, and Game of Thrones creator George RR Martin purchased and renovated the space. The House of Eternal Return is a low-energy, glow-in-the-dark interactive experience in a Santa Fe‘s former bowling alley. Upon arrival, guests are told a story about the Seligs, an imaginary family said to have once occupied the house. Visitors are then free to roam the 20,000-square-foot space, touch everything, go anywhere and together create the rest of the narrative with the clues found. 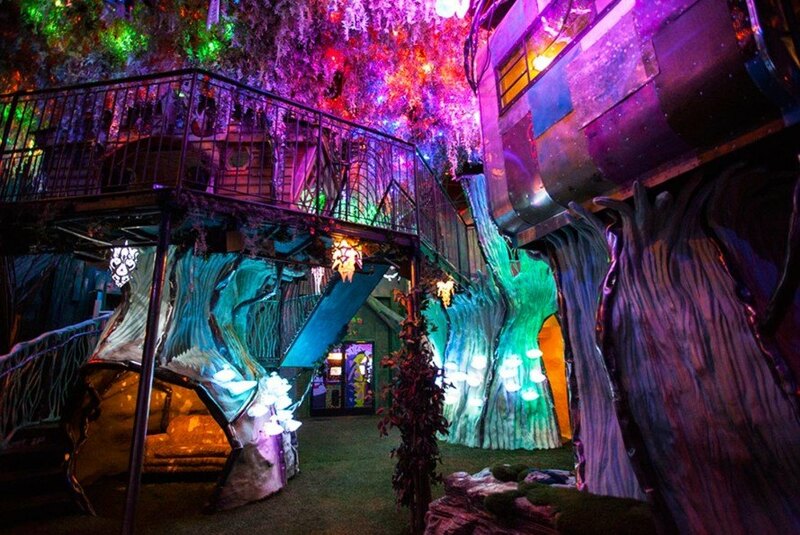 Six writers and 150 artists designed authentic real life-yet magical environments to achieve Meow Wolf’s large-scale vision within 18 months. The project was made possible by the Game of Thrones creator, a resident of Santa Fe resident who bought the building for $800,000 and put 2.7 million into renovations of the former bowling alley. The House of Eternal Return is the spiritual sister of St. Louis’ famous City Museum and is now open to the public. The House of Eternal Return is an interactive, multimedia art experience. Upon arrival, guests are told a story about the Seligs, an imagined family. 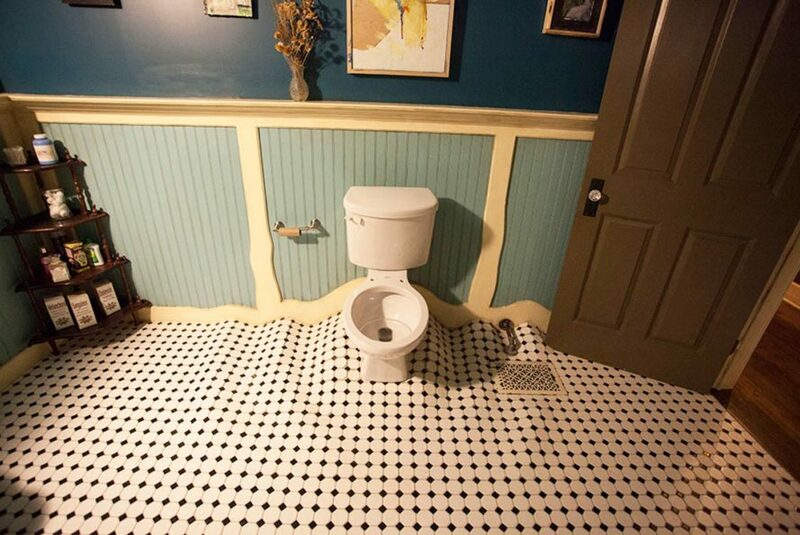 Visitors are then free to roam the 20,000-square-foot dwelling and touch everything. Six writers and 150 artists designed the environment. The project was made possible by the Game of Thrones creator, a resident of Santa Fe. The House of Eternal Return is now open to the public.